Q: When you receive a valued order from a small fashion house with a delivery and installation address on the 14th Floor in the middle of London what do you do? A: Give them exactly the same service as every other customer. 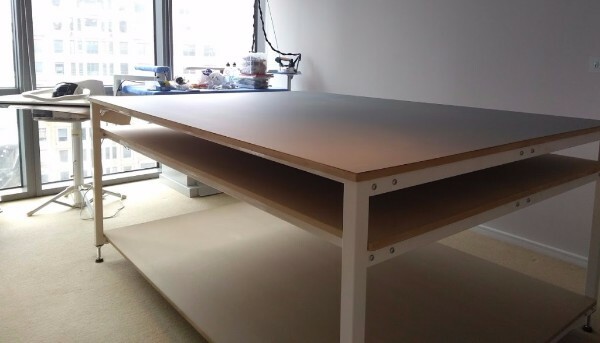 “The table is installed and i am very happy with it. Please see attached picture. Ian and team were wonderful and efficient. Being used to people seeing the 14th floor, the route up, and just leaving things at the reception on the ground floor. The guys assembled the cutting table, tidied up and took away the packaging.